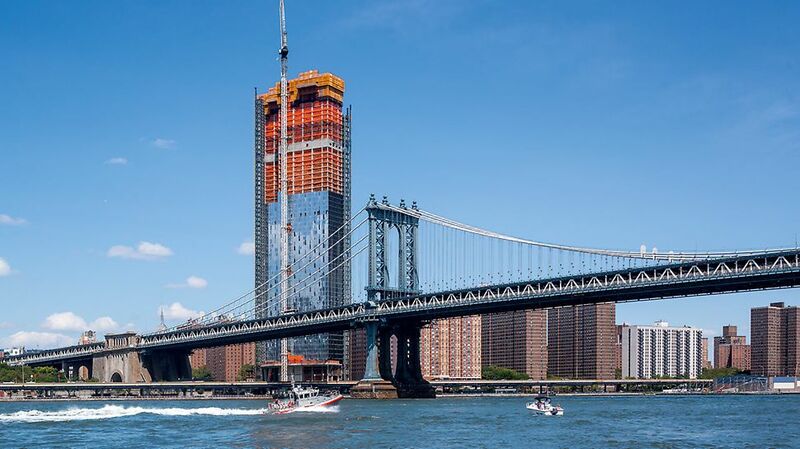 This 800-ft condominium tower going up on the edge of New York Harbor on the city’s lower East Side overlooks both the Manhattan Bridge and the Brooklyn Bridge. 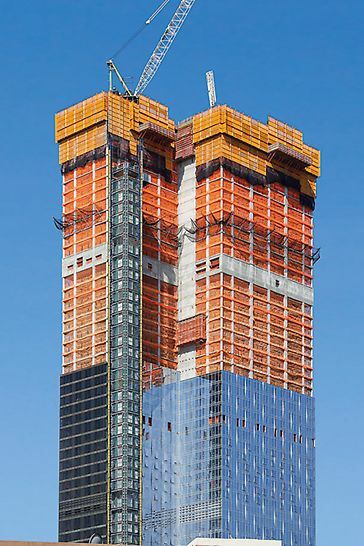 Billed as a “true vertical village,” One Manhattan Square’s 75 stories will include 1.1 million ft2 and more than 800 units. The two-year project requires 61,000 cubic yards of high strength concrete. The contractor, Pinnacle Industries, is placing the typical 14,000 ft2 floor plates on a three-day cycle. 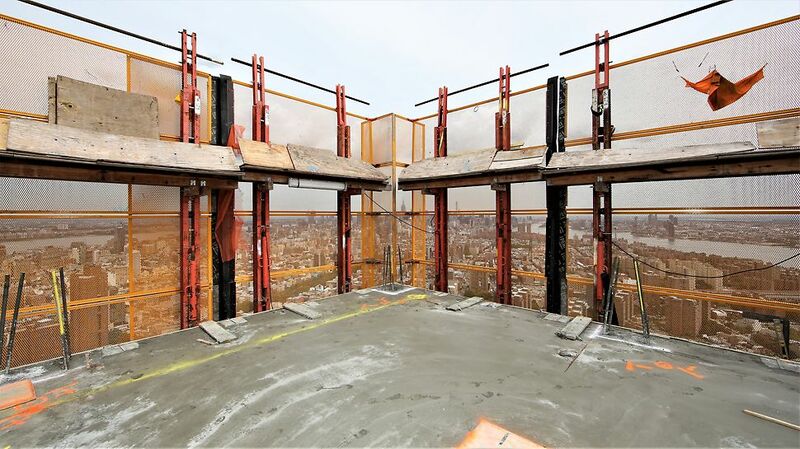 Pinnacle is using PERI’s LPS Protection Screen system and loading platforms with ACS-R shear wall climbers to ensure safe and efficient construction of two 30-ft-high perimeter belt truss walls at floors 28 and 50. The LPS system contains any construction debris and protects against falling materials and concrete splatter. Three floors of LPS protection can be moved independently at any time with the ACS-R hydraulics. Extended protection screens allow for perimeter protection at the top of house truss walls, triple-story-high cantilevered corner balconies, and 24-ft-high perimeter ring beams and BMU platform.